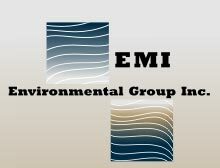 Welcome to the EMI Environmental Group, Inc. (EMI) web page. EMI provides project management support to clients with exposure to issues of potential or recognized environmental concern. These include exposure to both "indoor" and "outdoor" areas of environmental concern. "Outdoor" concerns include both on and off-site soil and groundwater environmental conditions such as underground storage tanks, water permitting, industrial wastes, and restoration of properties with historic issues. "Indoor" concerns include indoor air quality matters such as asbestos, work space irritants, tenant comfort, moisture intrusion, property structural threats, and exposure to other environmentally-related impacts to buildings, building spaces and their occupants. EMI's environmental assessment process takes many possible sources of environmental exposure into consideration and evaluates their impact on a given property's environmental risk. EMI is competent, capable, and committed to assure that our client's understand their environmental exposures, and are informed in easy-to-understand and commercially relevant terms. 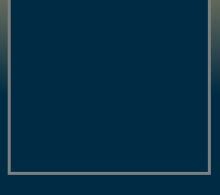 Our web page provides information on our broad capabilities, experience and qualifications. Please view the Gallery Picture Overview above and visit the individual web link sources for more detailed examples. These are examples of our project settings. Click on indoor or outdoor logo box to view the picture gallery then choose a link on left for more infomation.